Hello Everyone, Alex here to let you know what is going on at MOSI this September. Free general admission for a grandparent on Sept. 11, 2011, with the purchase of a full-priced general admission ticket. May not be combined with other offers. Limit one (1) offer per household. Grandparent and grandchild(ren) must be present at time of purchase. Must mention offer to receive discount. Excludes special engagements and SkyTrail® Ropes Course. Other restrictions may apply. Valid Sept. 11, 2011. In celebration of Hispanic Heritage Month, MOSI is offering $10 off general admission. May not be combined with other offers. Limit four (4) offers per household. Must mention offer to receive discount. Excludes special engagements and SkyTrail® Ropes Course. Other restrictions may apply. Valid Sept. 15 – Oct. 15, 2011. 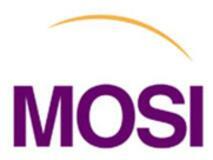 In honor of National Museum Day, MOSI will be offering $5 admission. May not be combined with other offers. Excludes special engagements and SkyTrail® Ropes Course. Other restrictions may apply. Opens at MOSI, September 16, 2011 and will be on display for one full year. An Interactive Exhibit on the Costs & Consequences of Illegal Drugs, Target America offers students a dynamic journey exploring the origins of drug production, international distribution of narcotics, the negative impact drugs have on communities, damaging costs to the en¬vironment, physiological effects caused by drugs, and current practices in prevention and treatment. The Target America exhibit provides a teacher resource guide which includes pre-visit/post-visit materials that incorporate Sunshine State Standards within Target America’s themat¬ic content, classroom exercises, gallery activities, and information for booking school tours. Target America’s exhibit content and the educa-tional materials will enhance the drug prevention programs occurring in your schools and provide a safe environment to create awareness about the damages drugs cause in our communities and ultimately on our children. Please visit www.targetamerica.org for more information. Join us in celebrating the upcoming Harvest Moon. This full moon is closest to the September Equinox and was a sign to Native Americans to begin harvesting their crops. Explore the harvest with a Native American style meal, create authentic feather jewelry and learn a harvest celebration dance. In the Saunders Planetarium tour the night sky to learn the science behind the seasons and how the sky shows us when to plant and harvest crops. End the evening with a trip to the highest point at MOSI to peer at the full moon through telescopes. For more information on any of these events, visit www.mosi.org or call 813-987-6000. There are so many wonderful exhibits and special deals at MOSI this month. You don’t want to miss out! Have a wonderful day and check back with us often for updates on fun Things To Do In Tampa Bay!